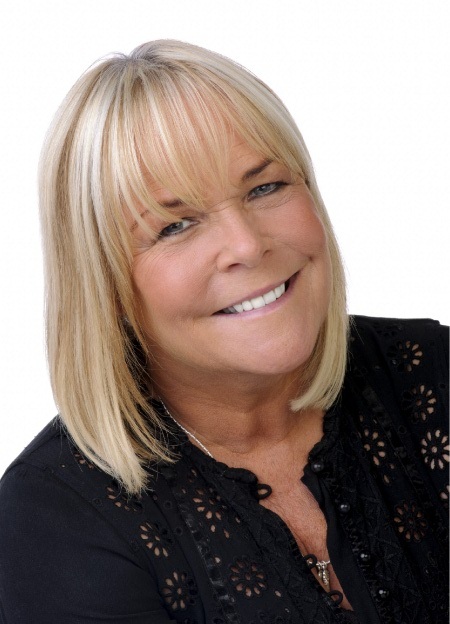 Linda Robson is a positive, easy-to-work-with spokesperson whose attitude is always friendly and who uses her experience in front of the camera to come across as a professional and credible spokesperson. If you're interested in a TV personality spokesperson for any radio or TV interviews please get in contact with us. Linda Patricia Mary Robson (born 13 March 1958) is an English actress and presenter, best known for playing Tracey Stubbs in the sitcom Birds of a Feather between 1989 and 1998 and 2014 onwards. In 2011, Robson appeared in the film Anuvahood as K's mum Pauline. In 2012, Robson took part in the twelfth series ofI'm a Celebrity...Get Me Out of Here!, coming in 9th place.Robson had a non-speaking role as a young girl amidst a group of roaming 'survivors' in the second series of the original BBC Survivors drama screened in 1976 and then appeared in Pauline's Quirkes (her first regular appearance with Pauline Quirke) and the drama series The Crezz, the comedy drama Shine on Harvey Moon in 1982 and the IRA drama Harry's Game. Robson subsequently appeared in programmes such as The Bill and Crossroads. She appeared with Jenny Eclair and Dillie Keane in the original cast of Grumpy Old Women Live, a spin-off from the television series Grumpy Old Women, written by Jenny Eclair and Judith Holder. On 9 August 2007, she narrated a show for ITV, called Britain's Youngest Brides. In July 2008, Robson entered Celebrity MasterChef and reached the semi-finals. In July 2010, Robson made a guest appearance in BBC drama series Casualty, playing the mother of a young man with bipolar disorder. Robson was the first celebrity to arrive in Australia ahead of the 2012 series of I'm a Celebrity...Get Me Out of Here!, but was voted out on the 13th day in the camp on 23 November 2012, finishing in 9th place. In 2012, Robson became a regular panellist on the ITV lunchtime chat show Loose Women, after having previously appeared as a guest. ​Robson is an occasional guest presenter for BBC London 94.9. In November 2012, she played the part of Lisa, the hypochondriac mother of Luke (Daniel Mays) in Alexander Kirk's play Told You I Was Ill, episode two in the series Living with Mother on BBC Radio 4.